Two words: Geek Pie. Two words which will mean nothing to you unless you’ve watched a certain episode of Chris Morris and Charlie Brooker’s ‘Nathan Barley’, but still… Geek Pie. he looks like a velociraptor! I saw that Gamblino, thanks – excellent and spot-on. I know several people just like that. Meh, it grows on you. He’s starting to look like the giraffe from the Toys’R’Us ads. he’s thinning pretty badly. when it’s that obvious you should just shave it all off. the spiked bit disguises it because it’s all glued together to make it seem thick. but if he had his hair flat we’d probably see he’s losing it quite badly. same was happening to joe cole and wes sneijder right, at least they did the smart thing. 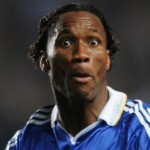 ironic, arsenal have one of the youngest squads around, yet it’s players are going bald(chamakh) and going grey(persie). It suits him, the Brits just don’t get though with there shaved all over or side parts to cover there receding hair. Hm, I think it’s adorable….lovely. Are some guys envious? 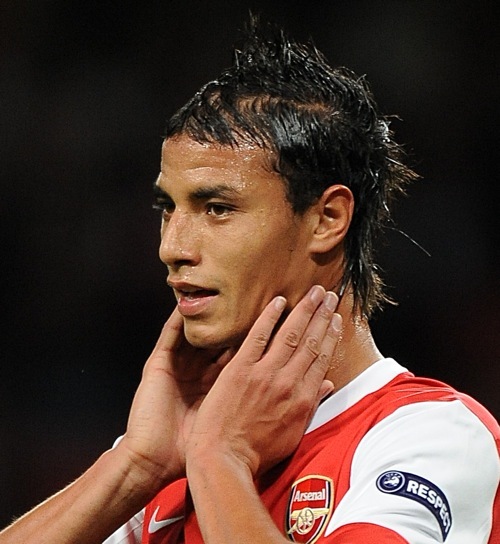 Robin and Chamakh…. come to mama…..
to be honest, i love his hairstyle, suit him and his facial features. who ever has wrote that chamkh has disgusting hair is wrong to be honest he looks like ronaldo and I love that cute smile on his face.